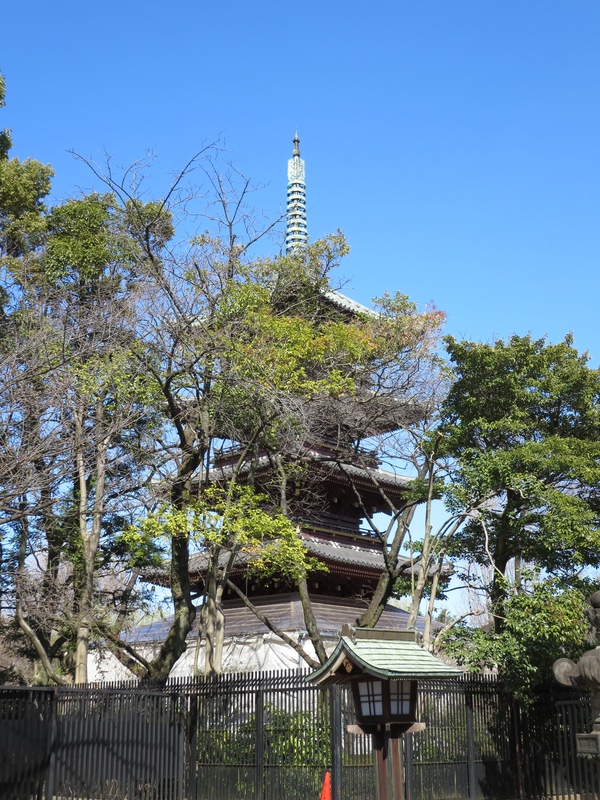 Despite Tokyo being a major modern hub, there are still areas that retain the traditional atmosphere. 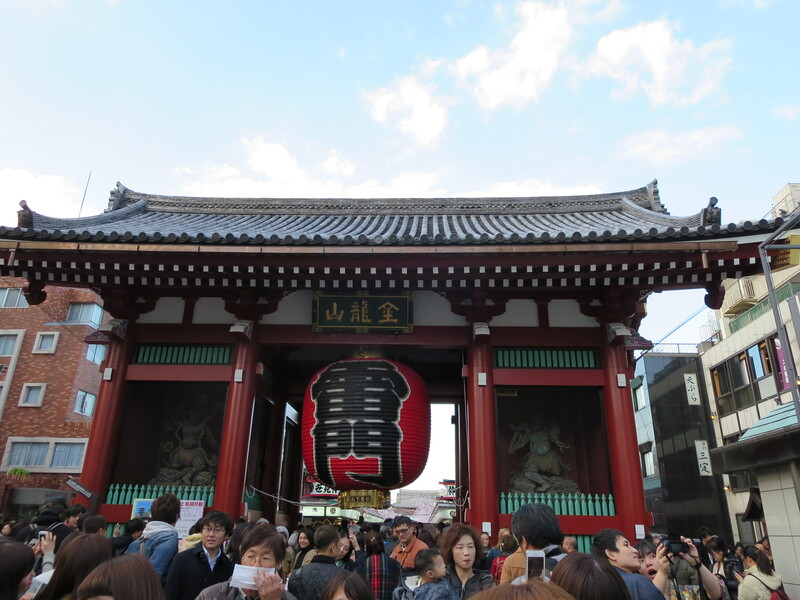 Asakusa would be a prime example of that with the Senso-ji Temple which is one of the oldest in the country along with its shopping district carrying traditional Japanese goods. 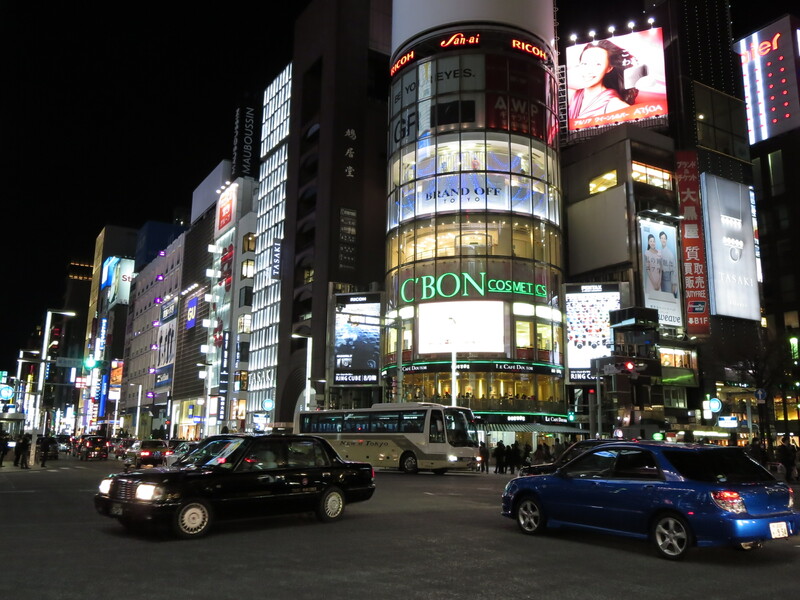 Nakamise-dori (dori in Japanese means street) would probably be one of my favourite shopping areas in Tokyo because of its affordability and the traditional flare it displays. 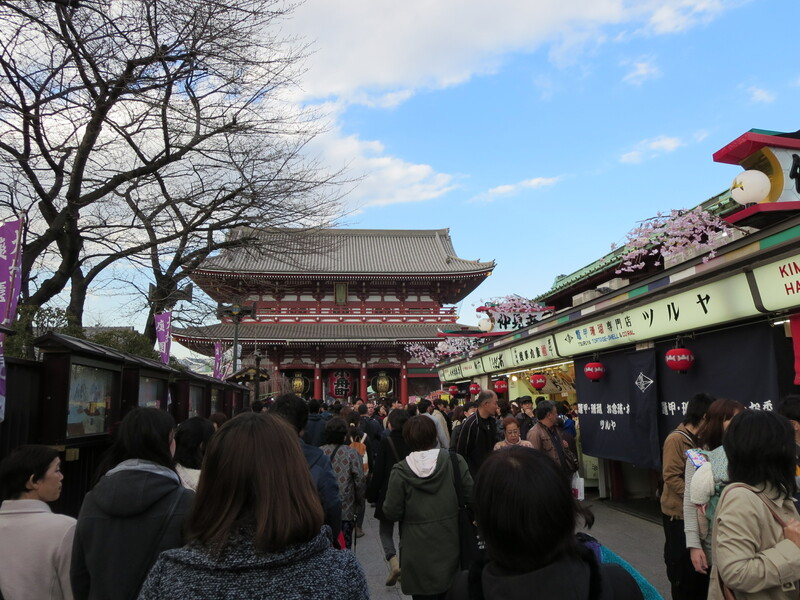 The street is located between the Kaminari Gate to the Senso-ji Temple so many of the shops are jammed packed together as the length of the street wasn’t very long. Many of the shops on the street carries traditional sweets, fashions as well as art and it’s actually a great place to pick up mementos to bring home. 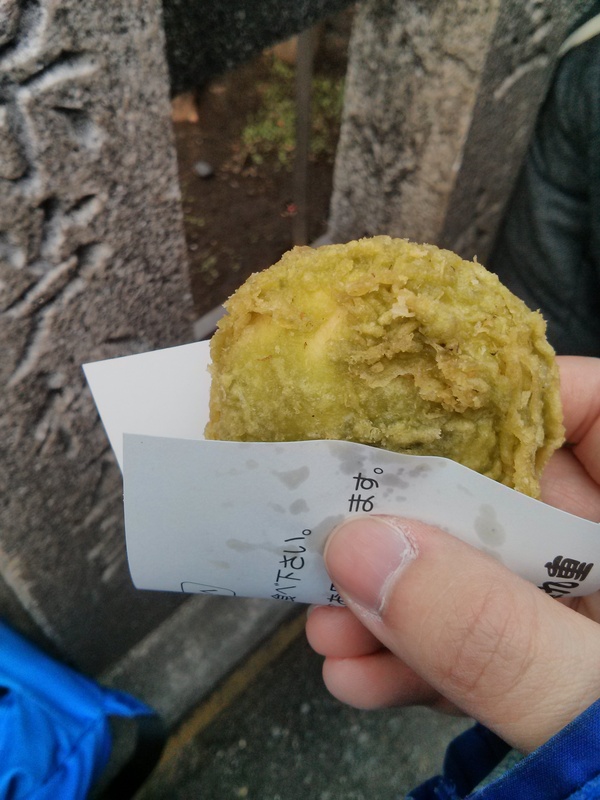 On route to the temple, I came across this shop selling this deep-fried pastry called Agemanju with green tea flavoured filling on the inside. 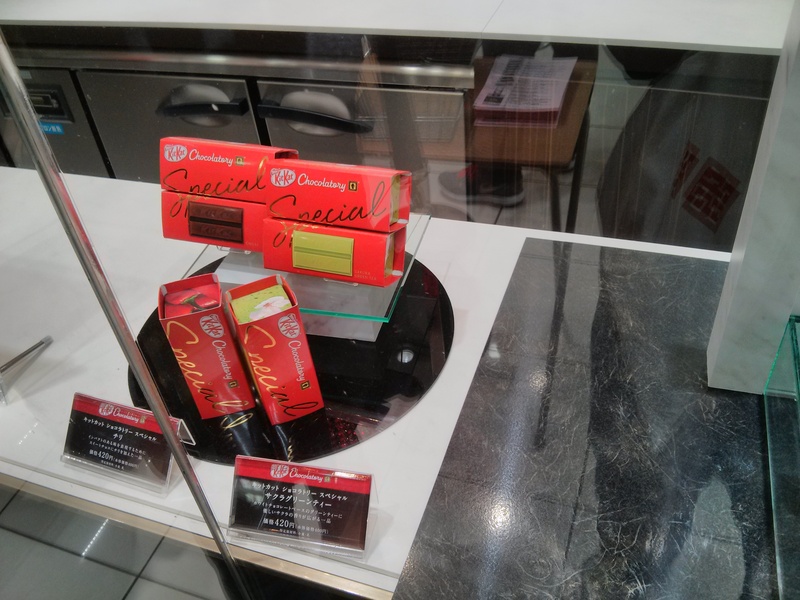 There were a variety of flavours aside from green tea including the classic red bean. It was scorching hot but after the tayaki lesson, I decided to let it cool a bit before I chowed down on it. 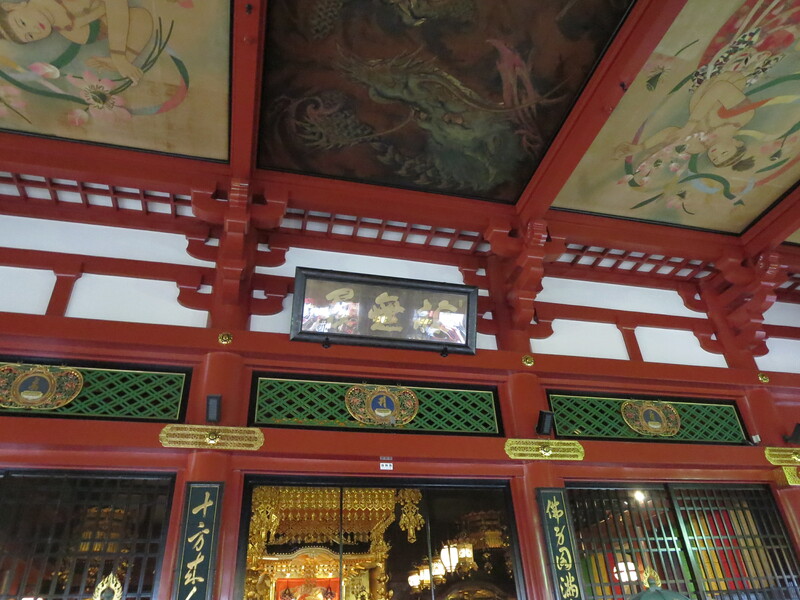 When I finally reached the temple, I couldn’t help but to admire the art inside. This was one of those times where I wished I had invested in a more powerful camera to capture everything. 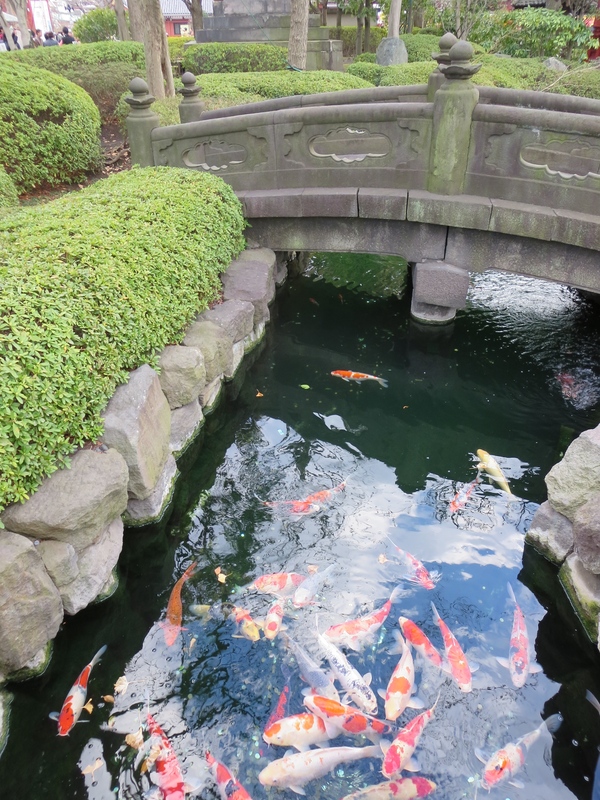 The grounds of the temple didn’t just have buildings but near by there were pagodas as well as this gorgeous pond that was simply beautiful! 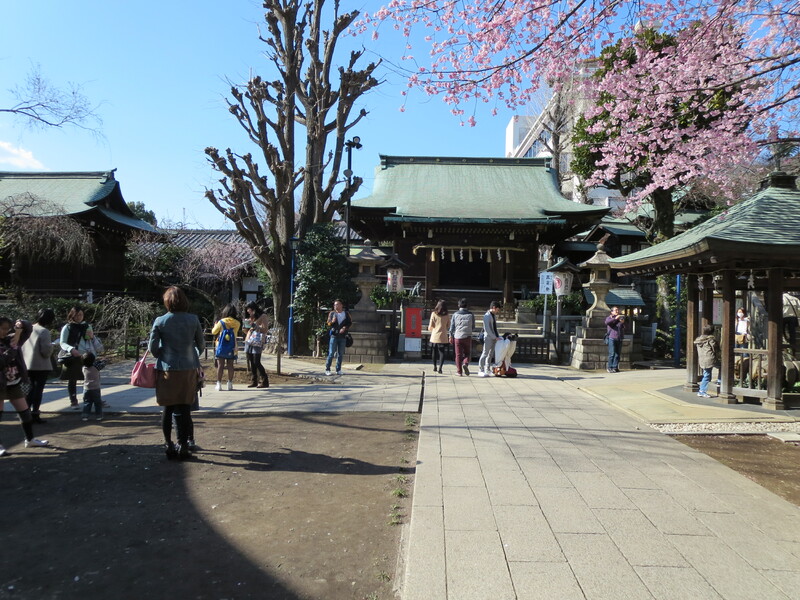 Categories: Food & Sweets, Travel | Tags: Agemanju, Asakusa, Japan, Kaminari Gate, Old Tokyo, Senso-ji Temple, Tokyo | Permalink. When it comes to travelling, you can’t really deny the direction your nose takes you which at times defeats the purpose of following an itinerary. While I was on route to my next destination, I decided to take a stroll along Ameyokocho which I likened to a street market and this is where you can find a variety of street food. I came across a stand that was selling taiyaki and I just had to help myself to one. What is a taiyaki? It is essentially a cake shaped like a fish with a variety of filling depending on your preference. I naturally went for the classic red bean and it was awesome minus the whole I almost burned my tongue off. 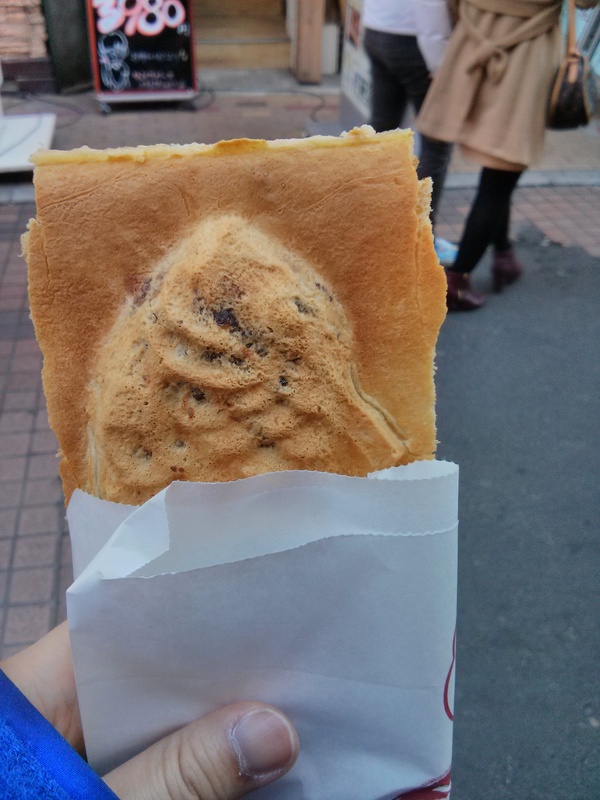 Categories: Food & Sweets, Travel | Tags: Ameyokocho, Japan, Streetfood, Taiyaki, Tokyo | Permalink. I decided that in midst of touring Tsukiji fish market, a brunch was in order and what better choice than going for a sushi brunch. I had initially wanted to visit the famous Sushi Dai where they are known to have some of the best sushi in town but the line up was pure madness. How would you define madness? It was an estimated 3 hour wait!!! Instead of wasting precious time in the city, I decided to go to Yamazaki Sushi instead and I was definitely not disappointed. There was a bit of a wait but to me it was worth it because it was the first time I had sushi served on a leaf. The meal was delicious and super fresh because the sushi would be made as I was eating. Every time I finished a piece, the sushi chef would have a new piece made for me and it was a new experience for me. 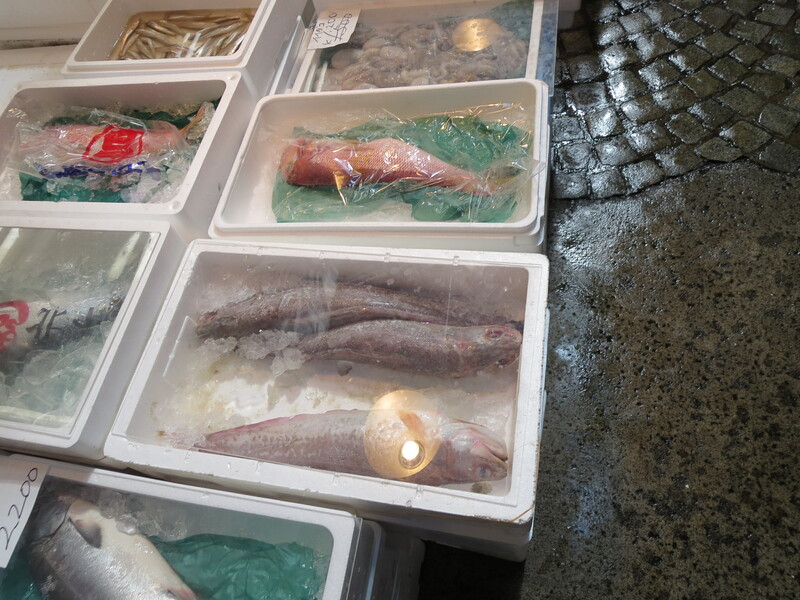 Onto the touring of the fish market and if you love seafood, this is the place to go! I wasn’t able to get up early enough for the famous tuna auction but I didn’t feel like I missed out on anything. 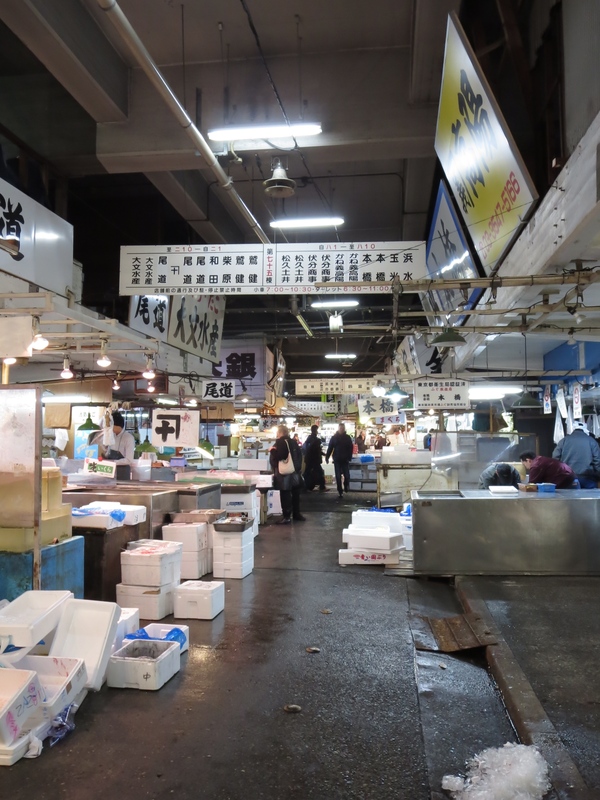 Tsukiji fish market is one of the largest wholesale markets in the world and the biggest in terms of fish and seafood. When touring the market, it is extremely important to be careful of the surroundings because this is a place of business so there are trucks/forklifts going at all times. I had always thought that St. Lawrence Market back in Toronto can be a bit intense but it definitely has nothing on this market. 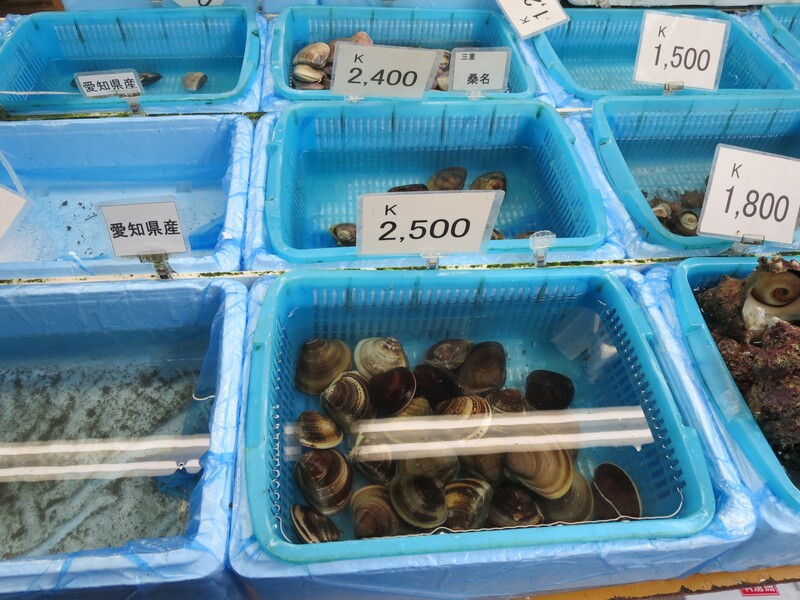 The selection is massive and aside from seafood items, the market also sells knives, tea, as well as other merchandise. 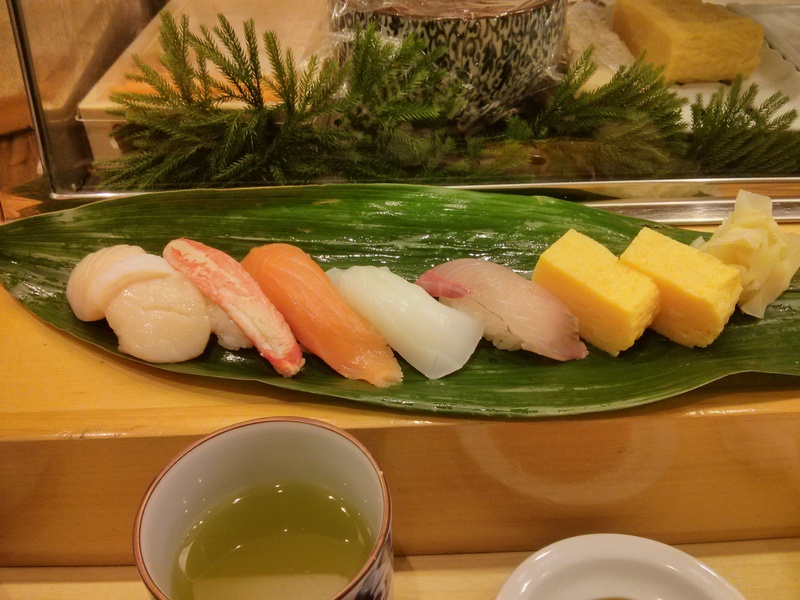 Categories: Food & Sweets, Travel | Tags: Japan, Tokyo, Tsukiji Fish Market, Yamazaki Sushi | Permalink. I always knew that KitKat was a pretty big deal in Japan with the crazy flavours such as green tea, chilli and wasabi. The origins of Kit Kat’s success can be traced back to a bit of luck and wordplay. 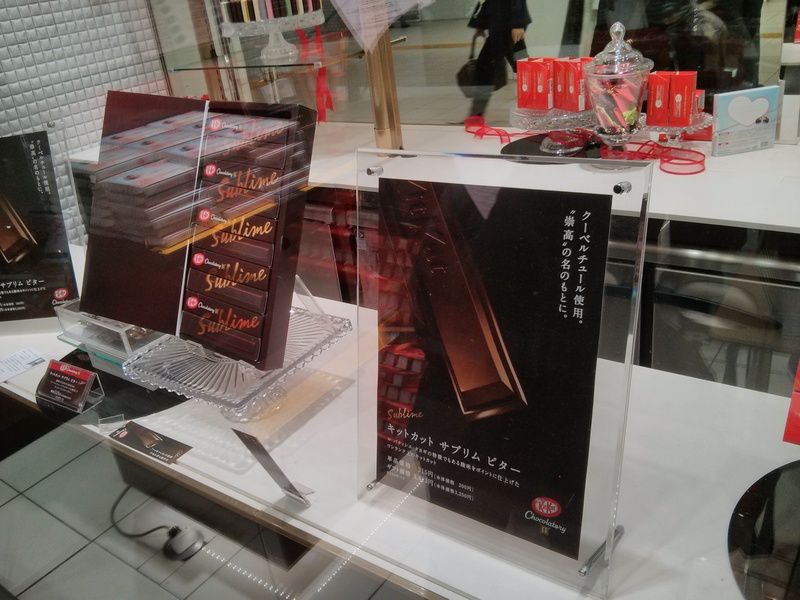 The words Kit Kat sounds similar to the Japanese phrase “kit to katsutoh”, which can be translated to “I’ll win for sure” and with that, millions of parents across Japan would buy their kids KitKats on their exam days as a way of wishing them good luck. 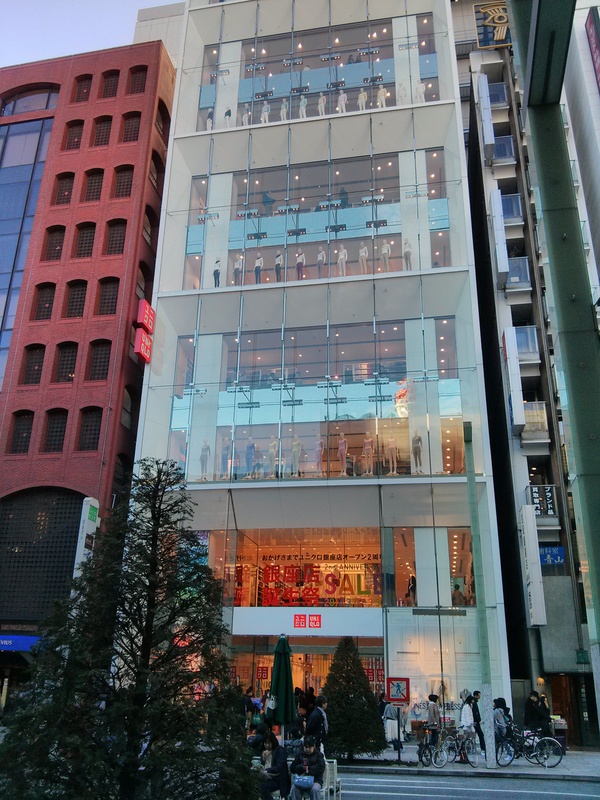 With the news of a KitKat boutique opening in Tokyo, I just had to make a special visit to the Seibu Department Store, located north of the city. 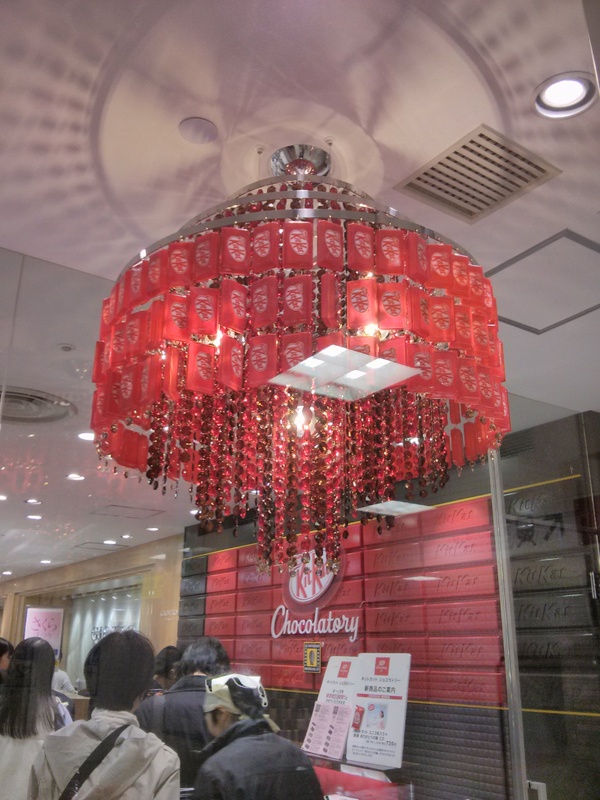 The chocolate boutique was beautifully decorated with a chandelier made of KitKats along with their gorgeous window displays. Although the variation of flavours can be found just about anywhere in Japan, these special KatKats were created in collaboration with chocolatier Yasumasa Takagi who had previously worked with the brand. By the time I arrived, some of the special flavours such as “Sublime Bitter” was already sold out but I still managed to pack some goodies to go. Overall, if you happen to be in town its worth a visit just to check it out! 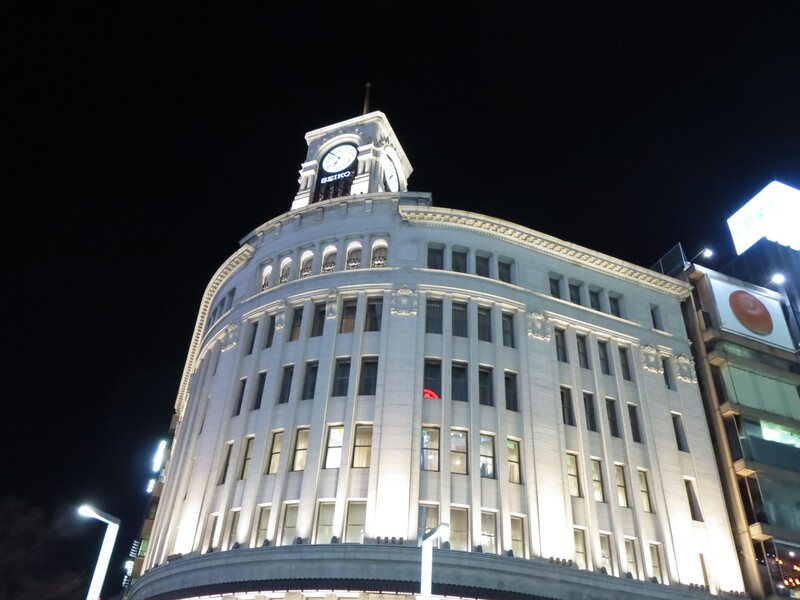 Categories: Food & Sweets, Travel | Tags: Chilli, Green Tea, Japan, Kit Kat, Seibu, Tokyo, Wasabi, Yasumasa Takagi | Permalink. 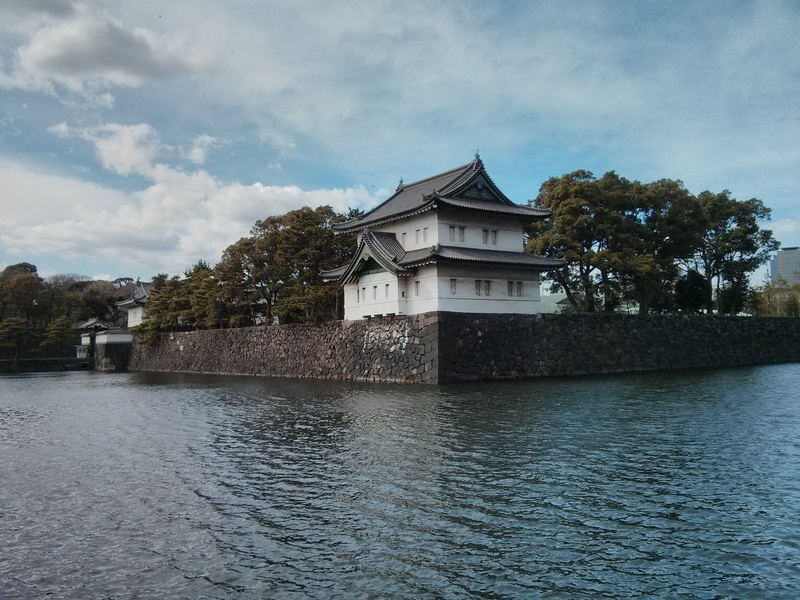 One of the first stops I made in Japan was to the Imperial Palace which is currently the main residence of the Emperor of Japan. 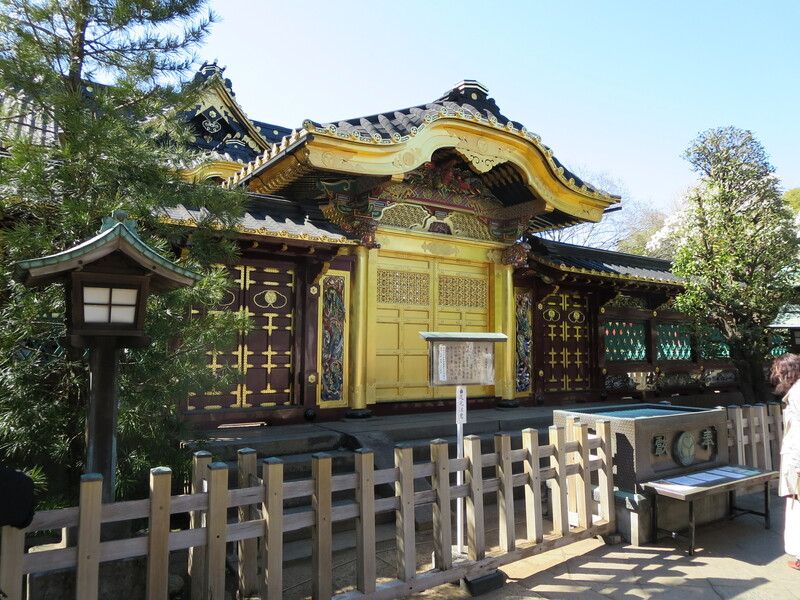 Since the palace is still in use, the inner grounds are generally not opened to the public with the exception of January 1st (New Year) and December 23rd (the Emperor’s Birthday) where members of the Imperial Family would greet the public. 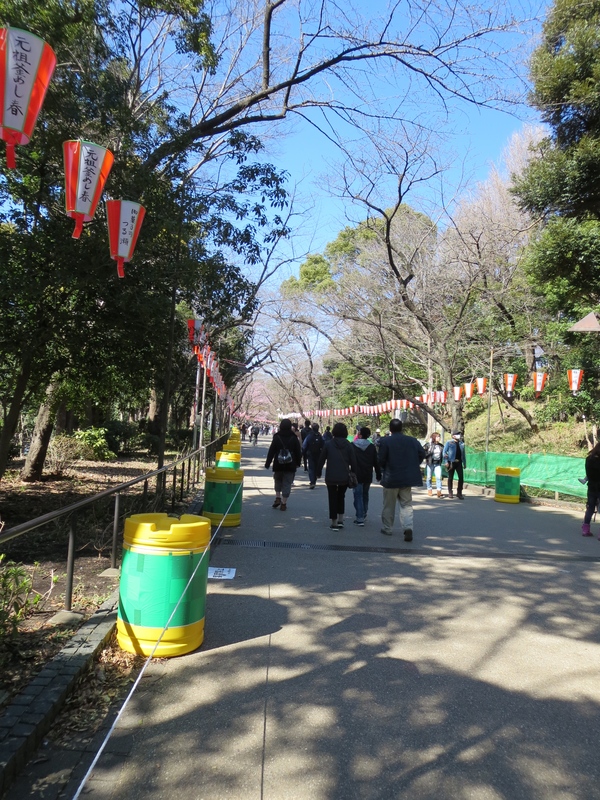 However, it does not mean that one cannot enjoy the sceneries as the East Garden is opened to the public. 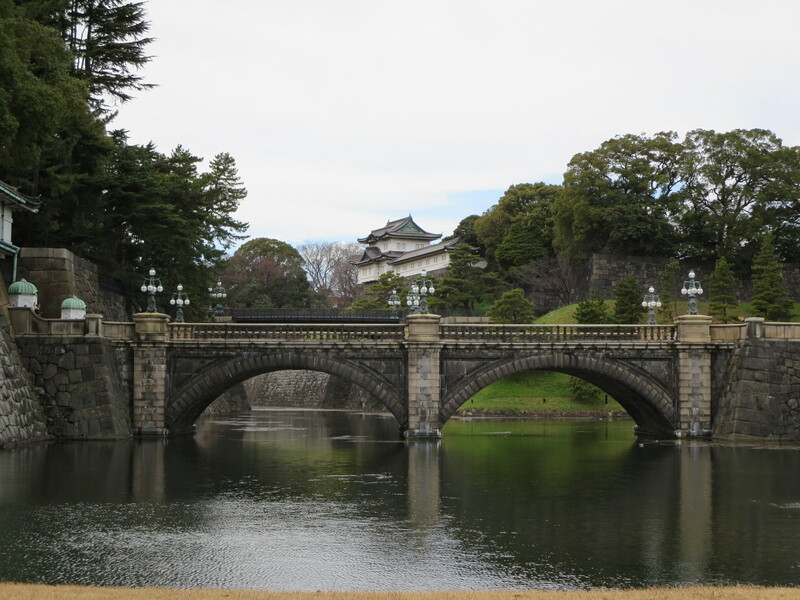 There are a lot of scenic bridges surrounding the palace as there are multiple entrances and some of these bridges have been there since the 1600s. 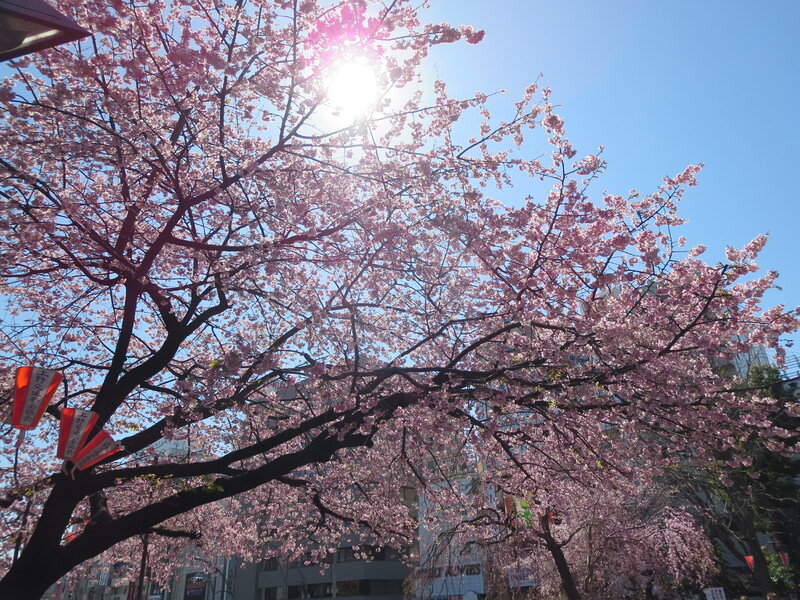 The opportunity to catch some of these sceneries was an experience that I will never forget and a stroll around the gardens was definitely worth it! 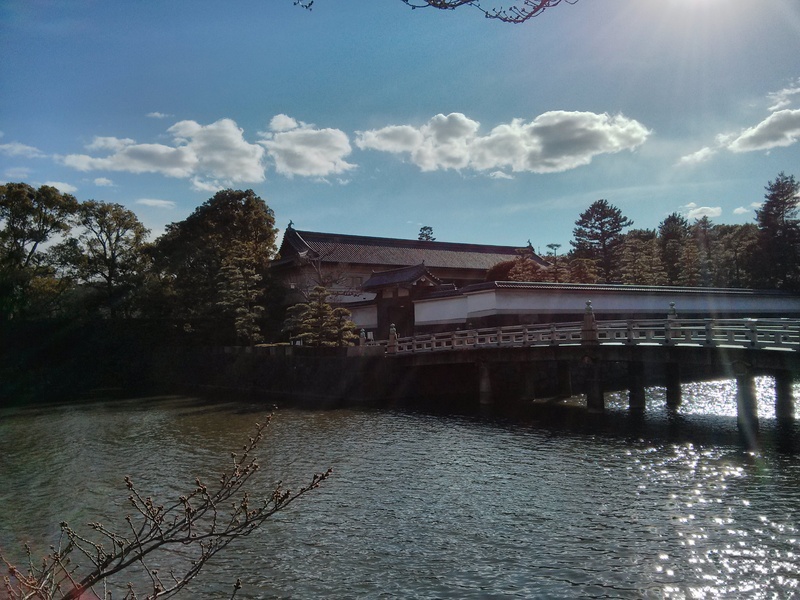 Categories: Travel | Tags: Gardens, Imperial Palace, Japan, Tokyo | Permalink.